Serious aviation accidents can take many forms, but many times they share a common result: grievous injuries and death among the accident victims. Houston aviation accident attorney Kevin Krist understands the complexities of investigating aviation accidents and pursuing liability claims against those responsible. Whether you’ve lost a loved one in an aviation accident or you’ve been seriously injured in an aircraft accident yourself, it’s critical that you consult a qualified and experienced injury attorney who can advise you about your claim. 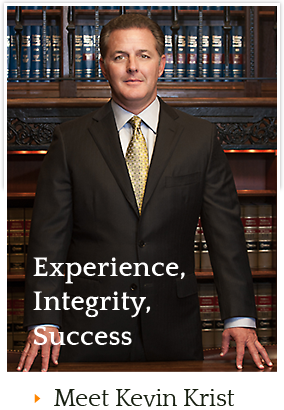 Kevin Krist personally represents each of his injury clients at every stage of the clients’ cases. Mr. Krist never refers cases to other law firms or other attorneys. What does that mean for you? It means that if you hire Kevin Krist on your aviation accident injury claim, you’ll be represented by one of the most experienced and knowledgeable Houston personal injury lawyers – one who will personally take on your case to protect your rights and pursue the compensation you deserve. Every case is unique, so past results don’t guarantee similar results in future cases. However, attorney Kevin Krist’s established history of success shows that he has the experience and abilities to get results for victims of serious accidents in injury and wrongful death cases. Mr. Krist is ready to put his extensive skills and experience to work on your case today. Aircraft maintenance and repair history – Aircraft must be meticulously maintained for safe operations, and they’re subject to different regulatory maintenance and repair requirements depending on their size and use. Aircraft owners, pilots, mechanics, and parts manufacturers are responsible for an aircraft’s condition and safety. Aircraft and component design and manufacturing – Aircraft manufacturers and parts manufacturers must produce safe products that are not defective and dangerous. Weather at the time of the accident, both actual and predicted – Weather is a constant factor affecting the safety of all aircraft flights. Airlines, pilots, and crew must remain aware of developing weather during flight planning and make adjustments in mid-flight to account for weather on their flight path. Air traffic control and airspace regulations governing the flight – U.S. airspace is subject to a complex regulatory and control system that dictates how and where aircraft can be flown. An experienced aviation accident lawyer can untangle the confusing and complicated issues leading to a plane crash or other mishap, investigate the accident, develop appropriate theories of liability, and pursue relief against responsible defendants. That provides aircraft accident victims the best chance to obtain the substantial compensation they may be due under the law. Likewise, in those cases involving fatalities, the diligent and skilled efforts of a seasoned aviation accident attorney can result in recovery of wrongful death damages for surviving family members, including loss of the deceased family member’s earning capacity, loss of the deceased family member’s care, maintenance, support, advice, counsel and services, expenses for treatment of the plaintiff’s emotional trauma, and funeral expenses. If you or a loved one has suffered an aviation accident, whether you’re in Houston, Harris County, Pasadena, Katy, Baytown, Sugar Land, Conroe, League City, or elsewhere in southeast Texas, contact Kevin Krist today for a free consultation about your case. Simply call the Law Office of Kevin Krist at 713-284-1660, or use the firm’s online form. Let Kevin Krist explain how he can put his personal, proven experience to work for you and your family, just as he’s done for hundreds of other serious accident victims.